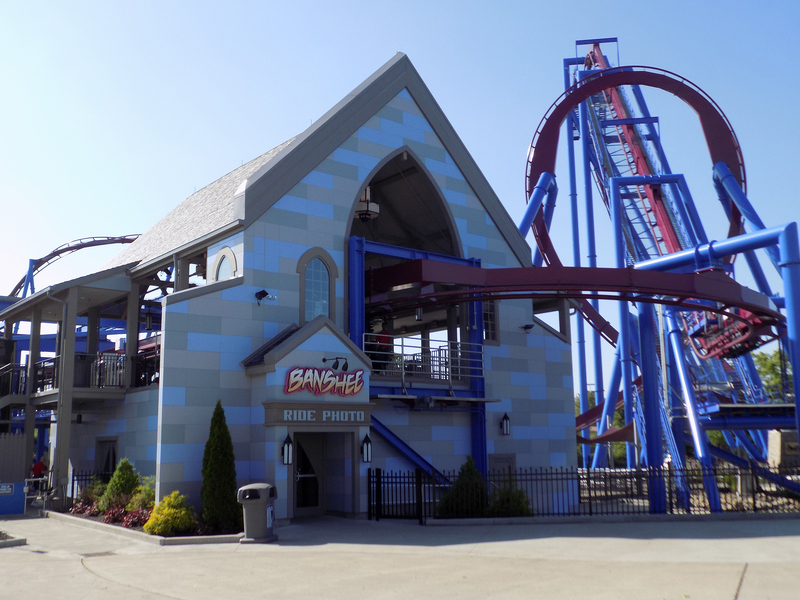 Opened in the spring of 2014, this new roller coaster station at Kings Island satisfies all thrill seekers. 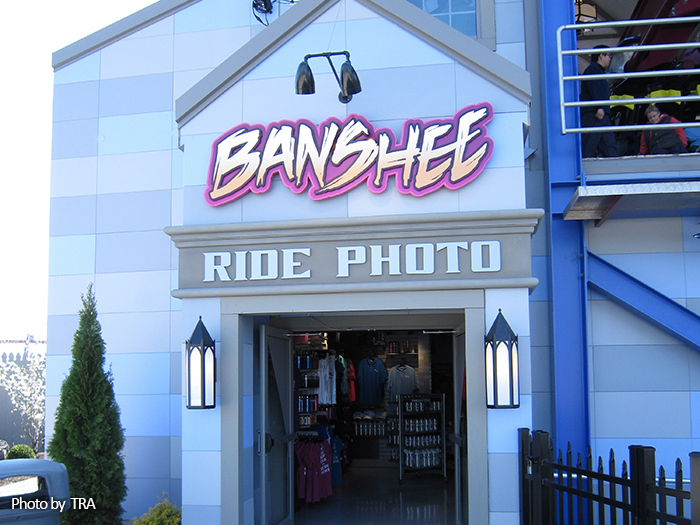 The Banshee spirit creates a sense of mystery for the overall concept of the ride and the gothic elements of the building provide further support to this Gaelic lore. 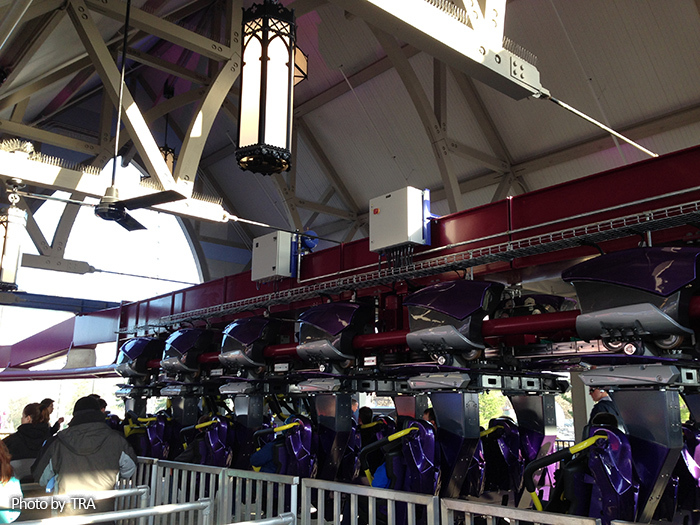 The exterior panels are made of fiber cement and are installed on a rail system. 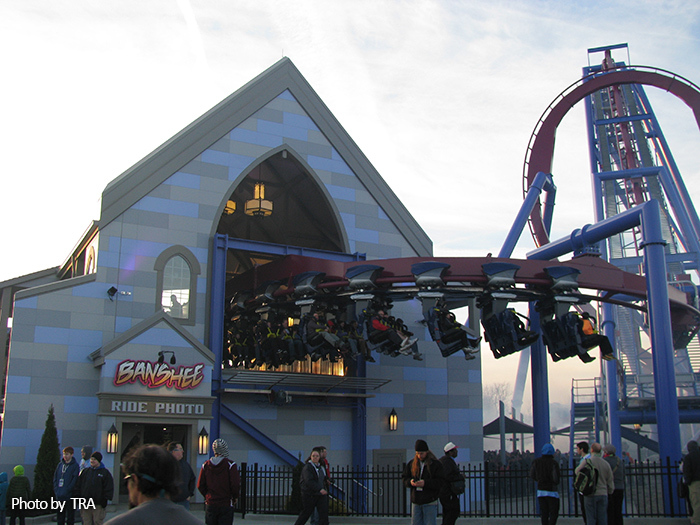 This is what allows us to integrate multiple colors to get the stone wall look. 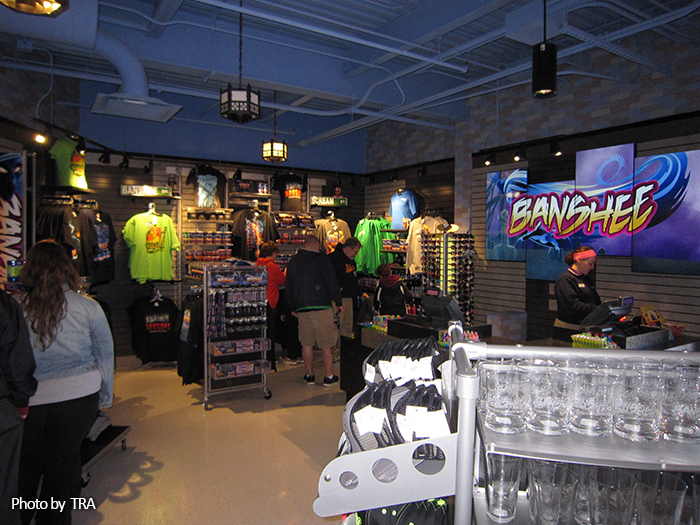 This feature ride is one of the most popular at Kings Island and also includes a ride photo counter and merchandise shop which are integrated in the lower level on the exit path for the guests.